Girls Incorporated of Northern Alberta is a non-profit organization with a mission to inspire all girls to be strong, smart and bold. We provide girls 6 to 18 years old with the knowledge and skills needed to break free from gender stereotypes, create social change, be proud of who they are and be confident in their own skin. Our programs are well developed and researched based, and we partner closely with local schools and youth organizations in order to implement them. Our programmers and volunteers care deeply about the general well-being of our girls, changing the systems within which girls and young women function and working to create an equitable society. 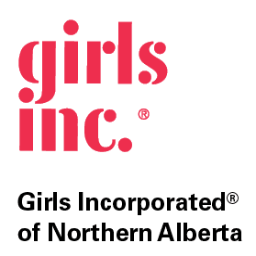 Girls Inc. of Northern Alberta serves communities all over the Regional Municipality of Wood Buffalo, and has partnership agreements with organizations throughout Western Canada to deliver our programs and positively influence girls’ lives. The programs delivered by Girls Inc. of Northern Alberta staff and volunteers are specially designed for girls and are based on years of research and development. The programs are designed to inspire girls to be strong, smart and bold; live healthy and physically active lives; navigate media messages, and develop an interest in science, math and technology. Girls Inc. of Northern Alberta Programs reach approximately 300 girls throughout the Regional Municipality of Wood Buffalo each year, and as we grow – that number is climbing. Two of our programs, Friendly PEERSuasion and Media Smarts, have been accepted as part of the school curriculum and are delivered during the school day. Our other programs are offered after school and on weekends as an extracurricular activity for girls. Most Girls Inc. programs are held on a weekly basis for one hour; for 12 to 14 weeks.